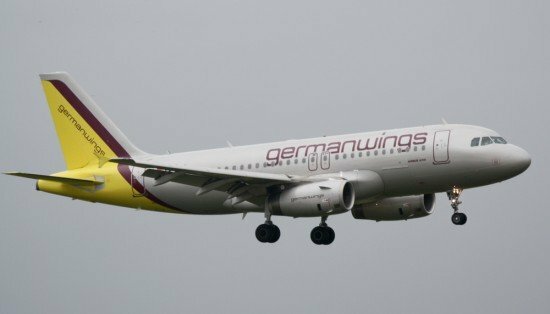 The German Federal Bureau of Aircraft Accident Investigation (BFU) failed to find the source of a smell that impaired the pilots of an Airbus A319 during their approach to Cologne/Bonn Airport, Germany in December 2010. The incident flight departed Vienna, Austria on 19 December 2010 with a delay of about four hours as a result of heavy snowfall at Cologne/Bonn Airport. There were 142 passengers and five crew members on board the Germanwings Airbus A319. The captain was pilot flying on this leg. The en route part of the flight was uneventful and the flight was cleared for an ILS approach to runway 14L at Cologne. About 21:30 the airplane began the descent to 3,000 ft and turned left toward the final approach of runway 14L. At an altitude of 4,000 ft and during the turn into the left base leg both pilots noticed a strange, strong and unpleasant smell for the first time – a mixture of burnt and electrical smell. The co-pilot had noticed the intensive smell as “elektrisch-süß” (electrically sweet) which felt “dicht” (dense) on breathing in. On enquiry, the purser reported there was no unusual smell in the entire cabin. After a short time, for the two pilots it seemed the smell had begun to subside. During the subsequent intercept of the localizer the co-pilot said he felt seriously sick and intended to don his oxygen mask. He stated that the nausea had hit him like a punch to his stomach. Once his arms and legs began to feel numb and he noticed he could no longer think clearly, he grabbed his oxygen mask and at the second attempt he successfully donned it. Alarmed by this and watching his own body the captain also suddenly felt an intense prickling in his hands and feet. At the same time he became aware how his senses were literally failing him. His field of vision became suddenly restricted (tunnel vision) and he felt severe dizziness. In this situation he grabbed his oxygen mask. Afterwards the captain felt slightly better whereas the co-pilot continued to feel sick. His condition became rather worse. About 9 NM prior to touch-down, as the ILS glideslope was reached, the airplane began to descend. The aircraft was flying slightly above the glideslope; at a distance of about 8 to 7 NM prior to the runway threshold the deviation was about 150 ft above the glideslope. At the beginning of the descent the ground speed was about 240 kt and decreased to 170 kt as the outer marker (3.9 NM prior to touch-down) was reached. The captain moved the flaps into the first position and once the airplane was on the glideslope again he disengaged the autopilot. The captain continued to fly the airplane manually. As the airplane did not decelerate fast enough and the captain therefore asked the copilot to extend the landing gear and then move the flaps into position 2. The captain had already extended the speed brakes. The captain did not feel he was physically or psychologically in a position to fly a missed approach procedure and told the co-pilot that he would suspend the 1,000 ft safety gate. For him an immediate landing was the only thing worth considering. The airplane overflew the threshold at about 60 ft and touched down at 21:34 with a ground speed of 135 kt, about 365 m (1,200 ft) behind the threshold. After the landing and having reached the parking position, both pilots sought medical treatment. Whereas the captain could resume his duties after four days, the co-pilot remained unfit to fly until 10 July 2011. The technical inspection of the aircraft did not reveal any indication of a technical malfunction. The BFU investigators acted on the assumption of massive smell development but could not determine any provable facts. Examined were various cabin air contamination possibilities. Among other scenarios, malfunction of the air condition, oil leakage in the engine or the auxiliary power unit, smell development due to de-icing fluid or polluted outside air could be ruled out. The medical expert opinion, which was based on medical data and the statements of the pilots, did not determine any signs of poisoning. The BFU is of the opinion that the flight crew’s decision to don their oxygen masks was important. It ensured that in an unclear situation the pilots were supplied with breathable air in a clear and odourless environment. The BFU has now started analysing reports and current investigation results concerning occurrences in combination with the quality of cabin air in transport aircraft. In this study the BFU examines all reports which have been submitted to the BFU between 2006 and 2013. The spectrum regarding the importance and severity of the so-called Fume Events ranges from harmless smells or slight smoke development to impairment due to eye or nose irritations, to impairment of the capability to perform of flight crews to the point of possible long-term impairment. The study will provide information concerning the reporting of the occurrences, the classification by the BFU in accordance with Commission Regulation EC 996/2010, the investigation results, the investigation options and limits.